Of all the soup recipes in this book, I’ve always thought that Cream of Celery sounded the least interesting. Consequently, I’ve never felt inclined to make it. The description, however, says “this is one of the finest British Soups it is possible to eat”. Hyperbole, surely. Let’s see. It all starts, rather unsurprisingly, with a head of celery. 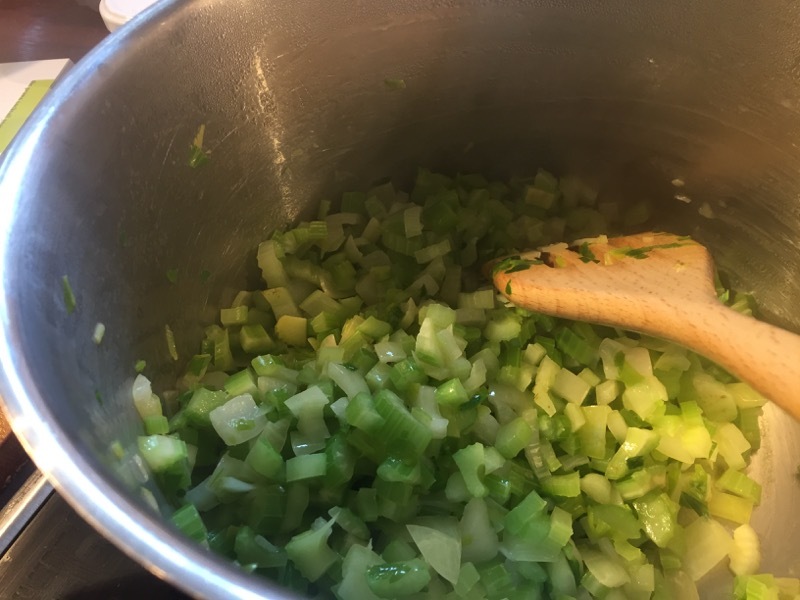 I chop the celery, and some onions, and cook until soft. Then, I add some celery salt, diced potato and chicken stock. I bring it to the boil and let it simmer for a while. While waiting for that to cook, I make some croutons. I chop up some white bread into cubes, toss them in olive oil, and bake in the oven until crisp. 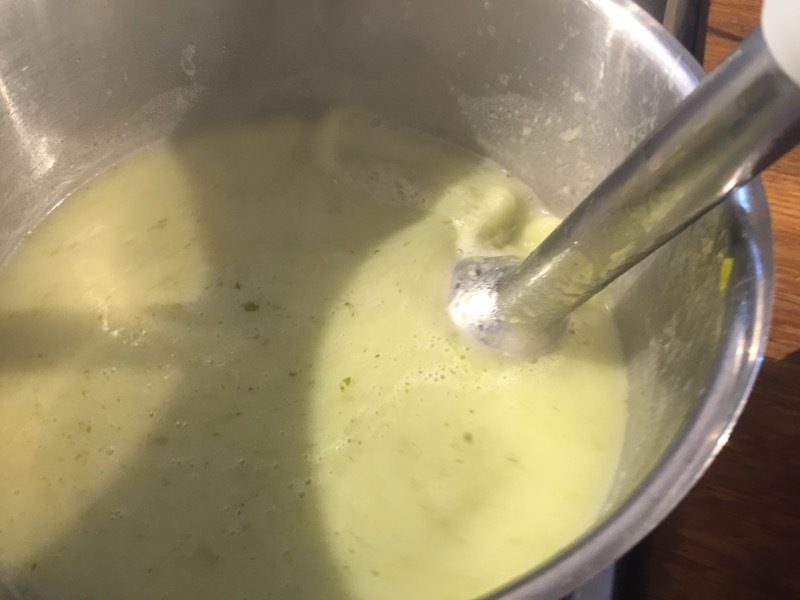 Half an hour later, I blend the soup until smooth. Now, one of my least favourite instructions ever in a recipe: “push it through a fine sieve”. 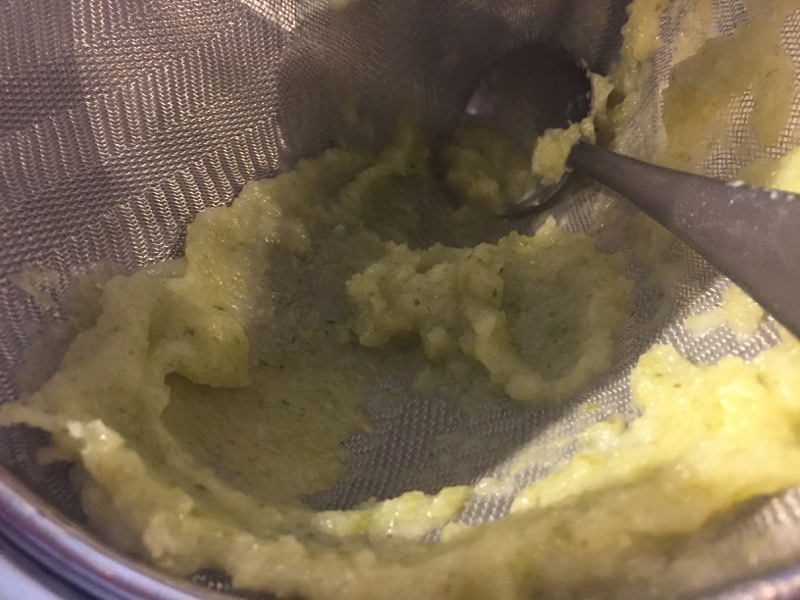 Sieving soups is always tedious and hard work. Eventually, I’ve pushed through as much as I can, and am left with a pulpy, fibrous mass in the sieve, and a perfectly smooth pan of soup. 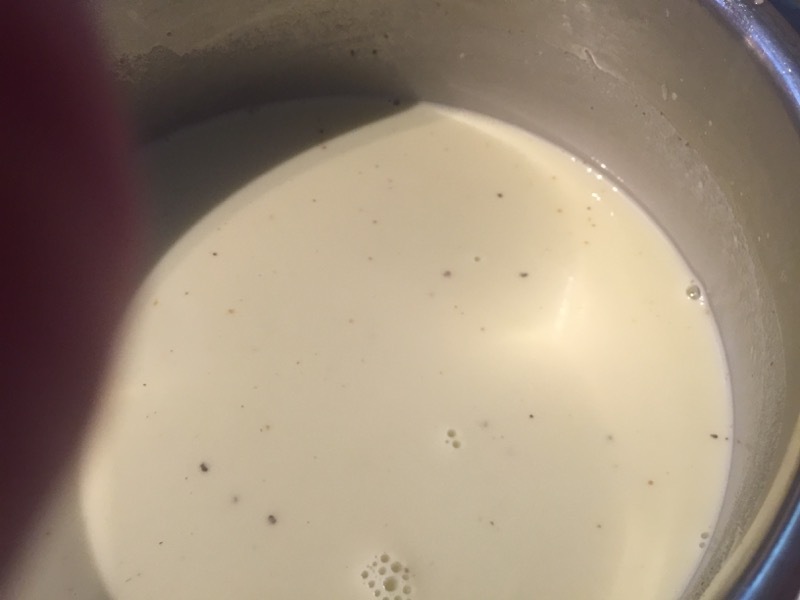 Finally, I add cream and freshly ground white pepper, and reheat. 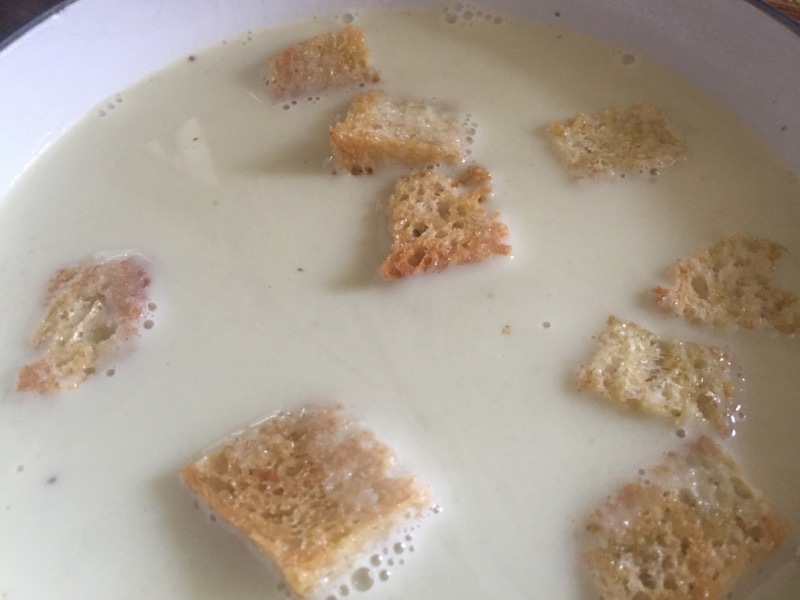 I serve the soup in a bowl, scattered with croutons. So, is it really “one of the finest British Soups it is possible to eat?” Well, actually, I think it might well be. It is utterly delicious. A light, delicate flavour – a hint of celery, rather than a something that dominates. It is exquisite. It’s so good, we go back for seconds. In fact, we polish off the whole pan. 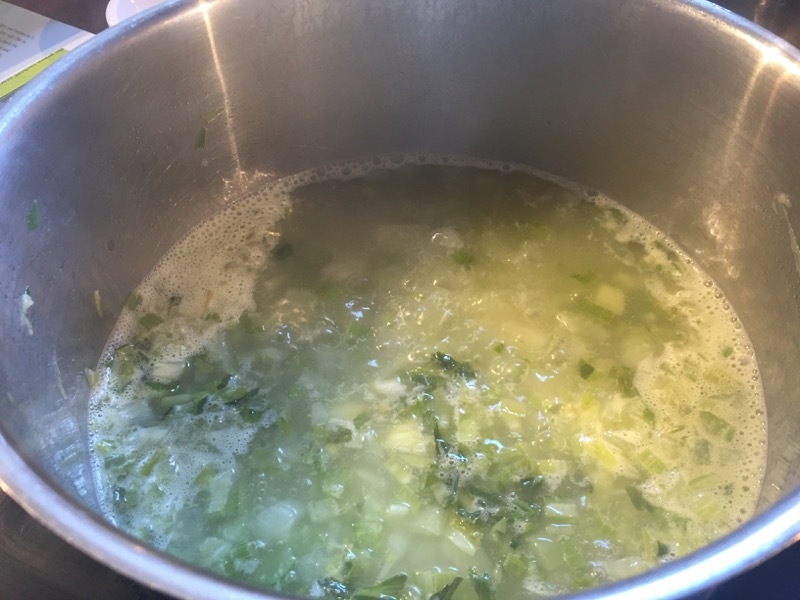 I’ve never had celery soup and I would never have chosen it. 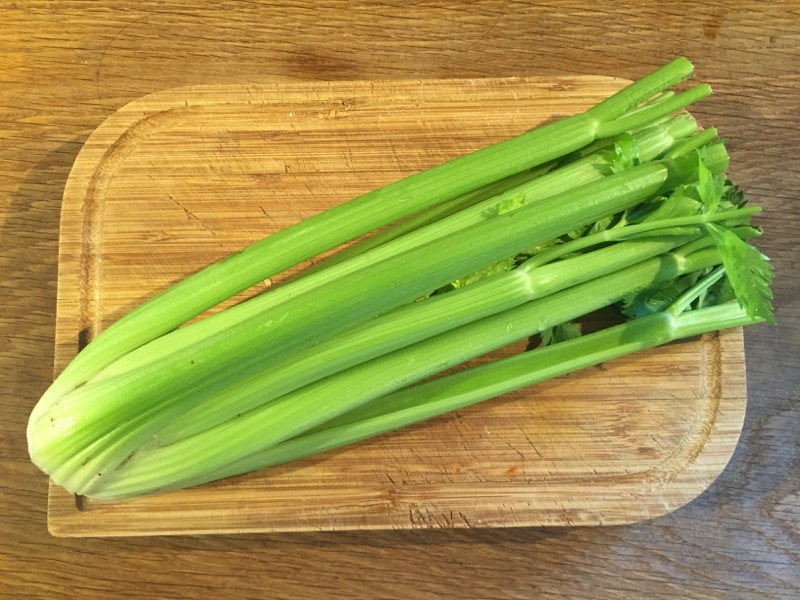 How could celery make a tasty soup? I thought. Turns out it can! The creamy soup was delicious and very delicate. I could not taste the celery until after I had swallowed it. Then I got a trace of the flavour. The soup mostly consisted of very tasty stock, cream, pepper and then the vegetable. I was surprised how good this was. 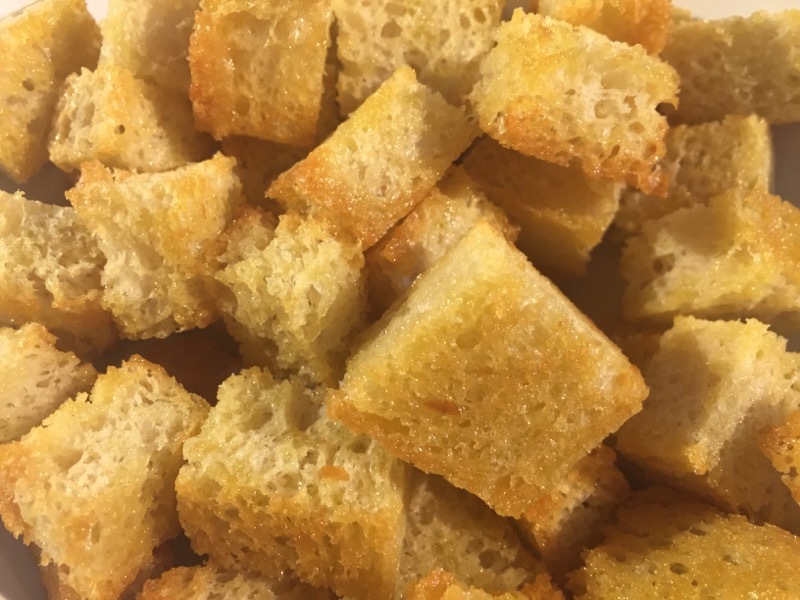 Dave made croutons from homemade bread to add to the soup. We ate the whole lot. It would have been a lovely starter for a delicate meal like a Lemon Sole or something. Have you considered buying a passe-vite? Makes sieving soups a lot easier. I have considered one, but I just don’t think I’d get enough use out of it to make it worthwhile. It would be just another piece of equipment that I don’t really have room for.